Rewind to early 2010: RIM had an iron grip on the enterprise market, Window Phones still required a stylus, Google was still trying to make an impact with Android and the iPhone was the undisputed king of the smartphone kingdom. The Motorola Droid no doubt sparked interest in Android, but the unapologetic angles and massive heft of the phone made it hard to love. The Nexus One had everything you could want except a place to try it and buy it. There were whispers of a superphone coming to Sprint from HTC, but other than a few blurry pictures of a white slab and some rumored (hoped for) specs no one really knew what to expect. 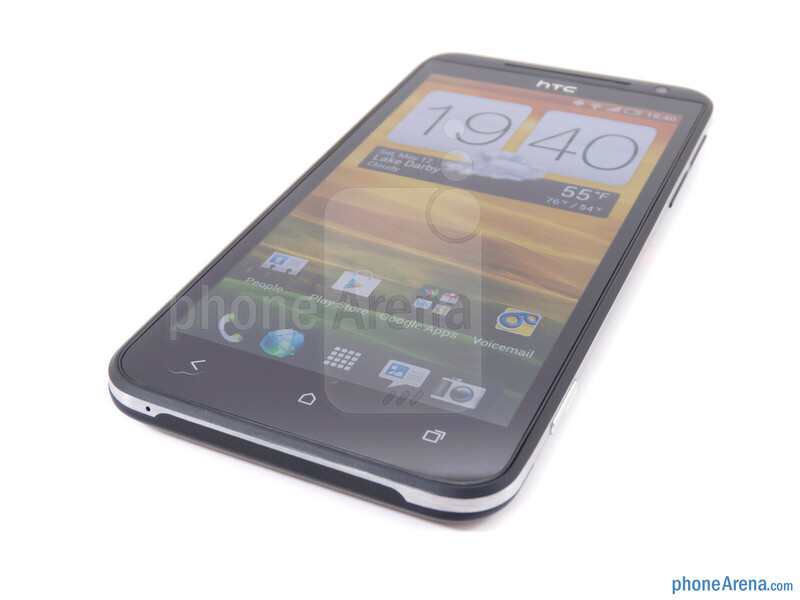 Then it came: the HTC EVO 4G. The original EVO was the nation’s first 4G phone, the first phone to have a 4.3” display, the first phone with a kickstand, the first domestic phone utilizing a front-facing camera allowing for video chat, and the first phone to make Apple really take notice. It won universal acclaim, Phone of the Year honors and opened the flood gates for Android. Though the EVO has spawned a family of phones and the flagship EVO 3D was launched a year later, many saw the 3D capabilities as a gimmick and have patiently waited for a true successor to the original EVO 4G. The wait is over, the EVO 4G LTE is here. 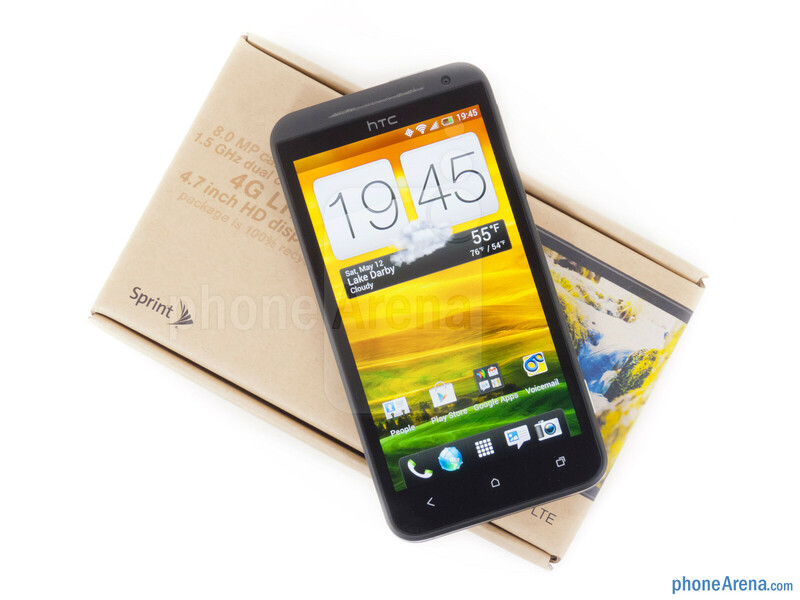 The name says it all; instead of going by the EVO One (in reference to its HTC One X bloodlines) or the EVO HD (a nod to the 4.7” 720p display), Sprint has chosen to stick with the EVO 4G nameplate and bill it as “a true successor to the original.” For a phone with such pedigree, this is a bold claim. 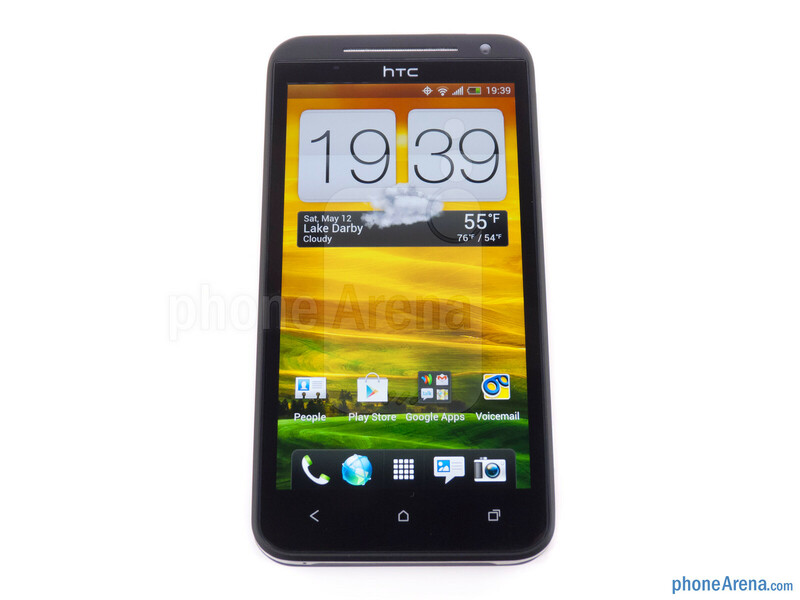 Read on to see if HTC and Sprint can back it up! In a day and age where spec sheets look increasingly similar, HTC has put an emphasis on using premium design to set itself apart. We took notice when the One series of devices were announced, and the EVO 4G LTE is crafted with that same philosophy in mind. Fashioned from an anodized aluminum unibody, the EVO 4G LTE is a pleasure to pick up. The finish gives the phone sufficient grip, and at just 8.9mm thin the EVO 4G LTE is comfortable in both your hand and pocket. You can compare the HTC EVO 4G LTE with many other phones using our Size Visualization Tool. The 4.7” Super LCD 2 HD display is as beautiful as any display we’ve seen. The vivid colors pop off the screen, images are crisp and sharp and with a 312ppi density it is nearly impossible to spot individual pixels. S-LCD2 suffers from the same oversaturation that AMOLED does, but to a lesser degree so that it is not nearly as noticeable. Utilizing IPS technology, the viewing angles are amazing and we could approach 90o and still read the display. The display is very bright and we didn’t have any wash-out issues using it outdoors in direct sunlight, though there is some glare from the Gorilla Glass 2. 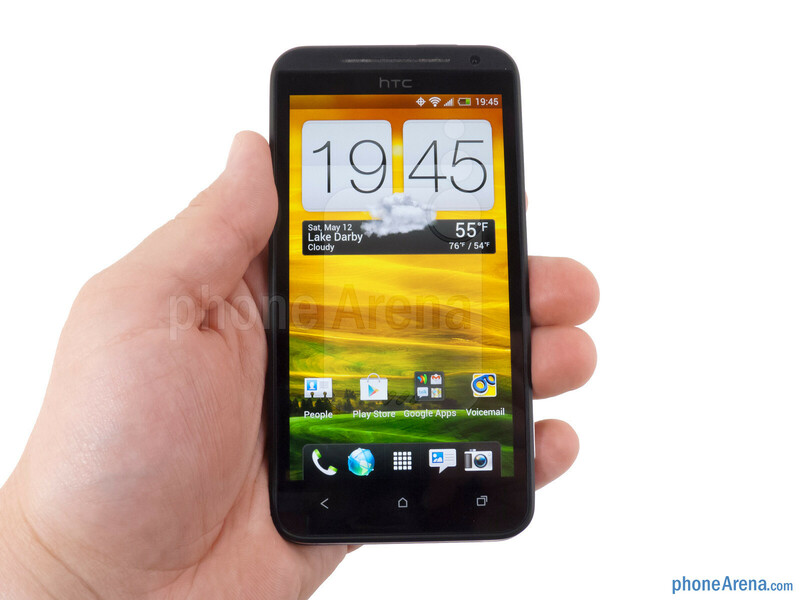 Like the One X, HTC is sticking with three capacitive buttons on the EVO 4G LTE, leaving the user with more screen real estate. 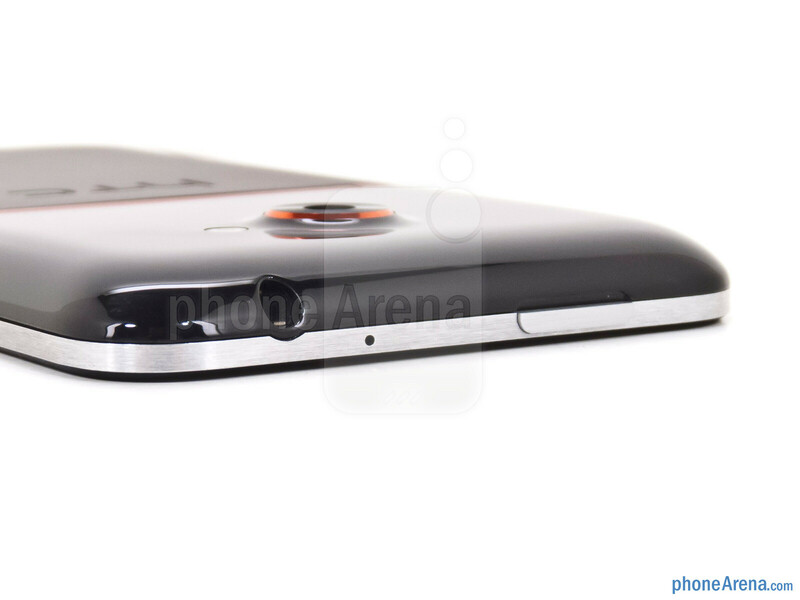 Along the right side of the phone is the volume rocker and camera shutter button, with the power button up top. They all have a small but sufficient travel, with good feedback to let you know the button has been activated. The sides of the phone are part of the aluminum unibody, but have been milled down to a natural aluminum finish creating a visually pleasing contrast to the matte black. 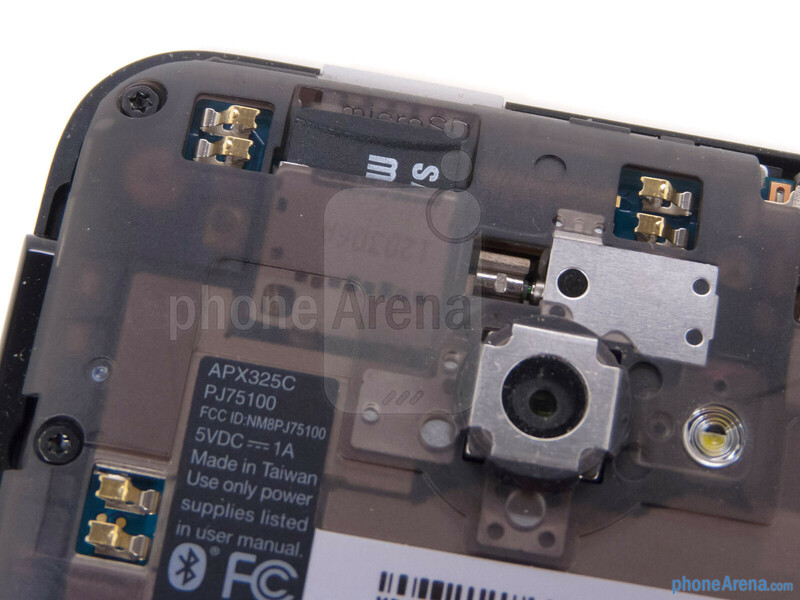 The uncovered microUSB port and 3.5mm headset jack almost perfectly blend into the black body of the HTC EVO 4G LTE. Around back is perhaps the most controversial element of the EVO 4G LTE: the two-tone black. 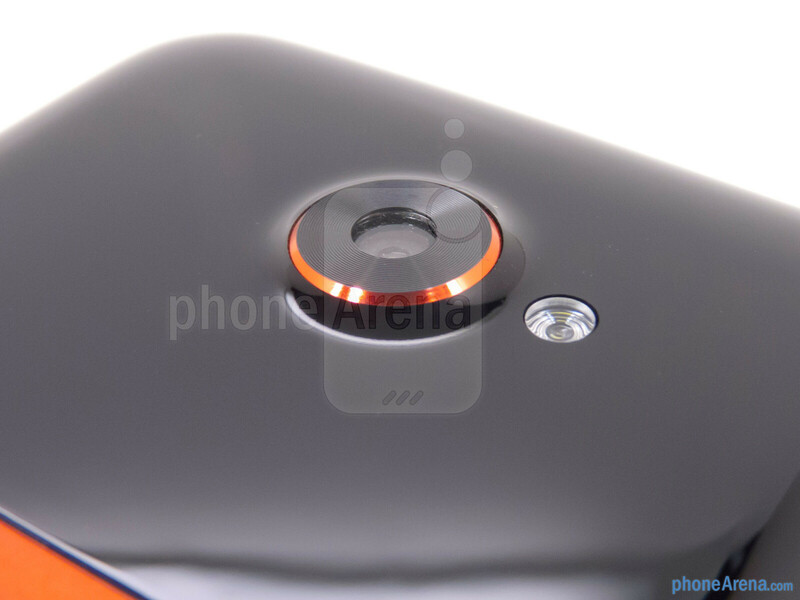 At the top is a plastic door with a glossy, piano black finish, under which lies the microSD slot. It is in sharp contrast to the matte black of the anodized aluminum that sits below. The two are broken up by a quarter inch EVO red band housing the kickstand. The two finishes of black are a matter of personal opinion, and we’d probably prefer an all matte finish, but in our opinion the two-tone finish doesn’t look bad and is growing on us. 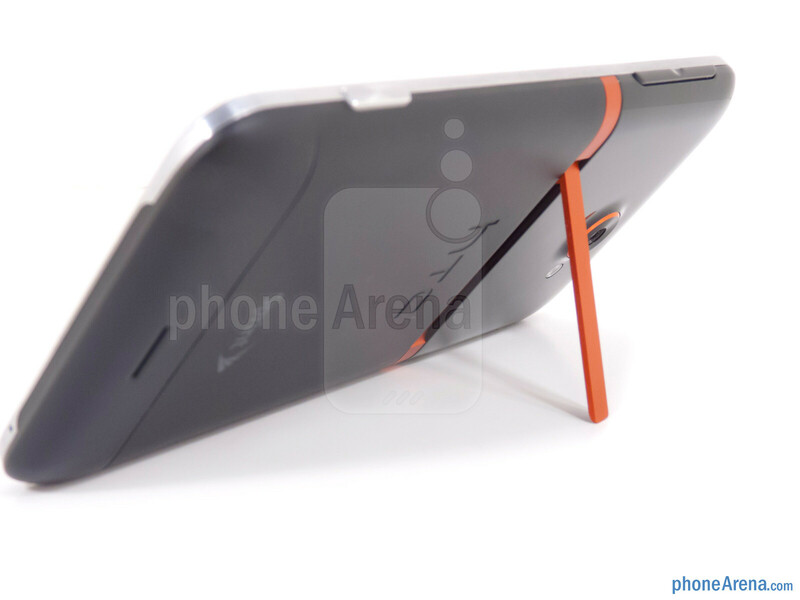 The kickstand was a trademark feature of the EVO 4G, so it is nice to see its return. 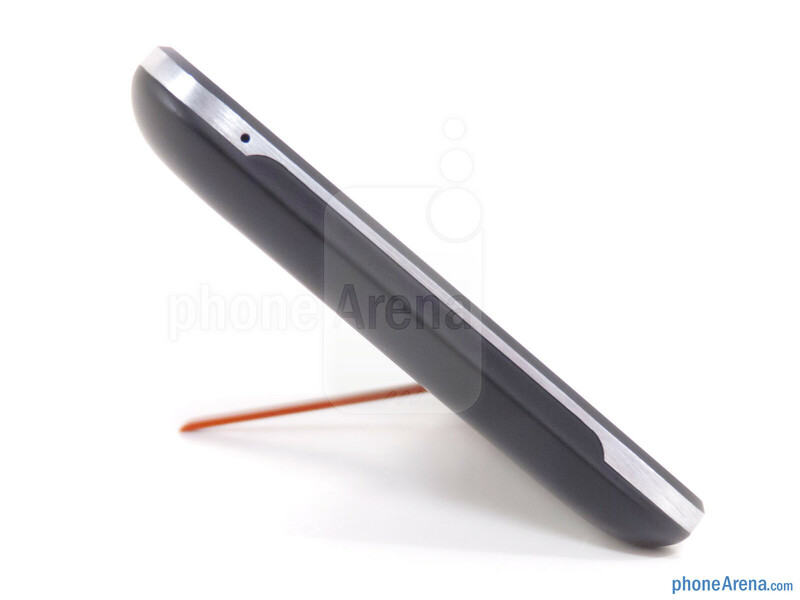 While it may be thin it is unbelievably sturdy, so much so that it can work easily in both directions and when the phone is resting along the length of it you can adjust your viewing angle. 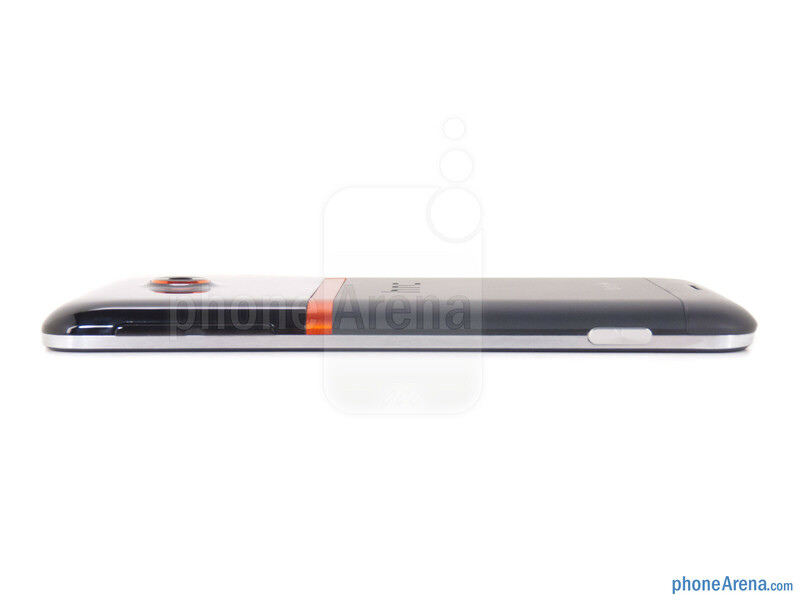 When you open the kickstand on the EVO 4G it resists to a certain point, then springs open. 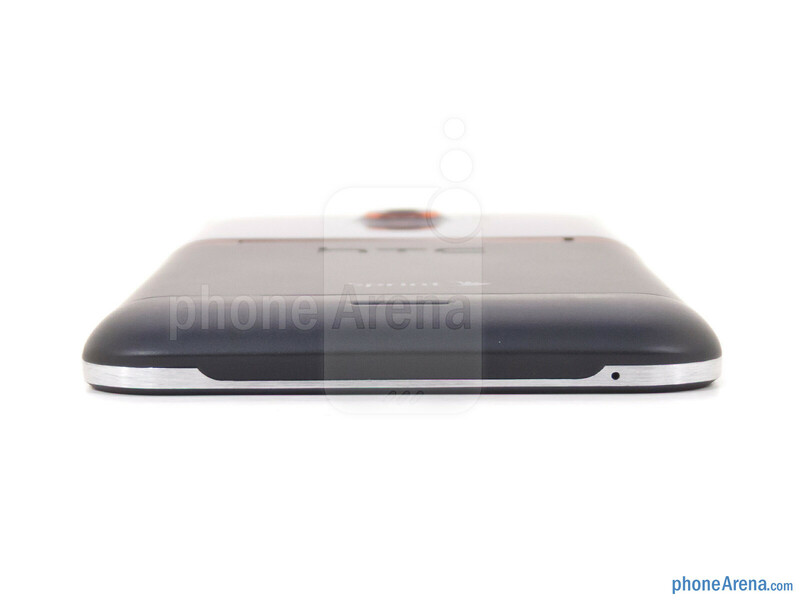 The opposite is true on the EVO 4G LTE, which is what allows you to sit the phone at different angles. 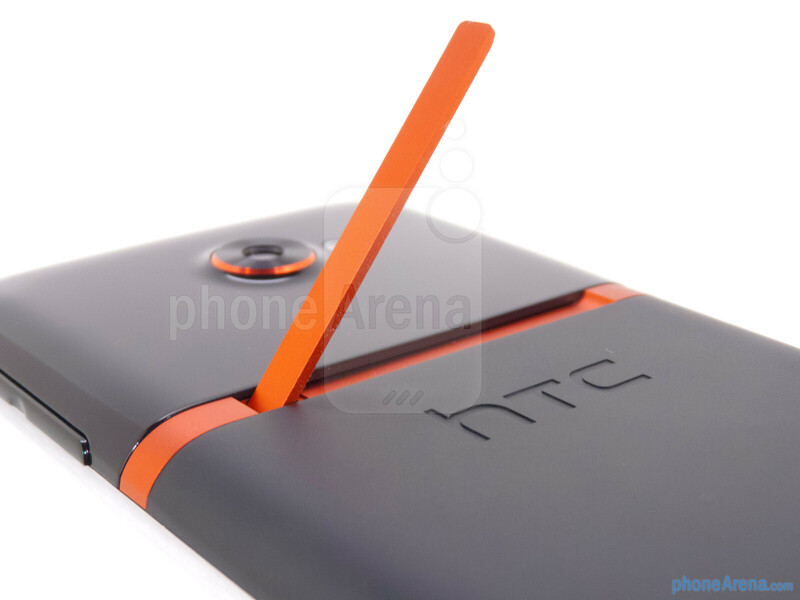 Like the One X, it is apparent that HTC has put a premium on design with the EVO 4G LTE. If you haven’t seen their “making of” video you should check it out on YouTube to get an appreciation of what went into the design of this device. The EVO 4G LTE truly feels wonderful in the hand while packing a powerful punch with the display. 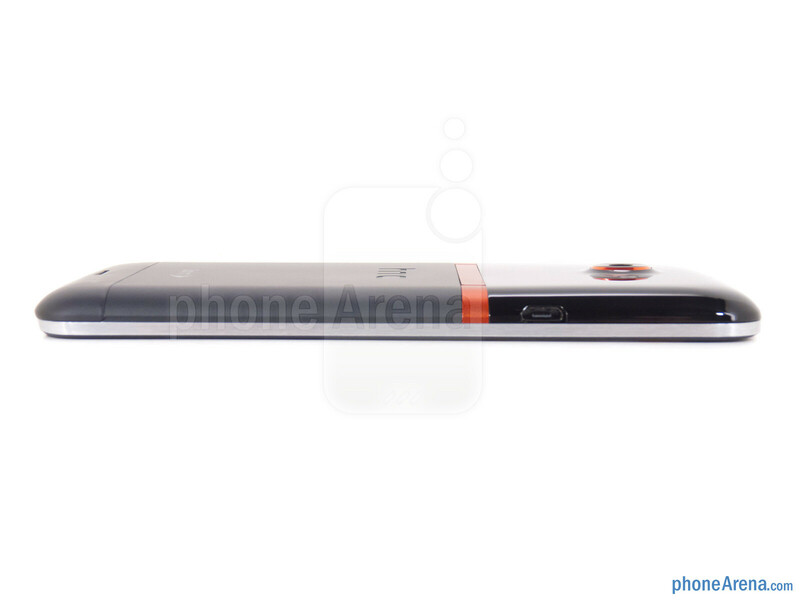 It will be large for some, but felt more natural to us then smaller phones like the Epic 4G Touch. The materials used are absolutely premium and even without a case this phone is built to withstand the wear and tear of everyday life. 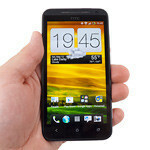 We’ve said this before, but in a market dominated by black slabs HTC continues to stay recognizable. Nice review, but how come that the non-removable battery comes to the cons section unlike the iphone 4/4s. That is kind of weird, isn't it? Idk but phonearena's reviews lack a certain consistancy that I would expect from such a otherwise carefully though out sight. Reviews seem inconsistent between reviewer and devices. Something that are cons for one device aren't for others. Sometimes more powerful international unlocked phones get lesser scores then their supsidized versions (this is especially peculiar when the only differance between the two is more powerful chipset of the international version). Sometimes the reviewer puts something into cons that's more opinon then actual fact. It's like PA reviews and comparisons are generally mostly based more on opinon then fact. During review they never actually test devices with benckmarks or test to compare statistics. You usually just hear the reviewer say 'this device feels/looks like it does xxxx better'. Meaning that however trained that reviews eye is we are still subject to their perspective on thing much less then actual device performance. PA attempt to tell the reader which device is better for day to day use. That's impossible to do without generalizing your audiance in someway and if each reviewer has a slightly different idea of what the readers want it's very hard to keep consistency between all the reviewer when scoring phones. I used to live buy pa review but I have grown weary. I love PA but, at times I see thing that seem like contradictions. That's why I diversify the sources which i read reviews from. No LTE network to.....whait, what? It just looks like to me they were looking for things to put in there because: 1)It is not the devices fault that there is no LTE network to run on. 2)If the camera is as amazing as it is on the HTC One X and HTC One S then there reason that it is not "always up to par". 3)As you said, non-removable battery is not a con on iPhone devices or any other device that has a non-removable battery as far as the reviews I've seen. I had to put a larger battery in my original Evo 4G to make it last the day. 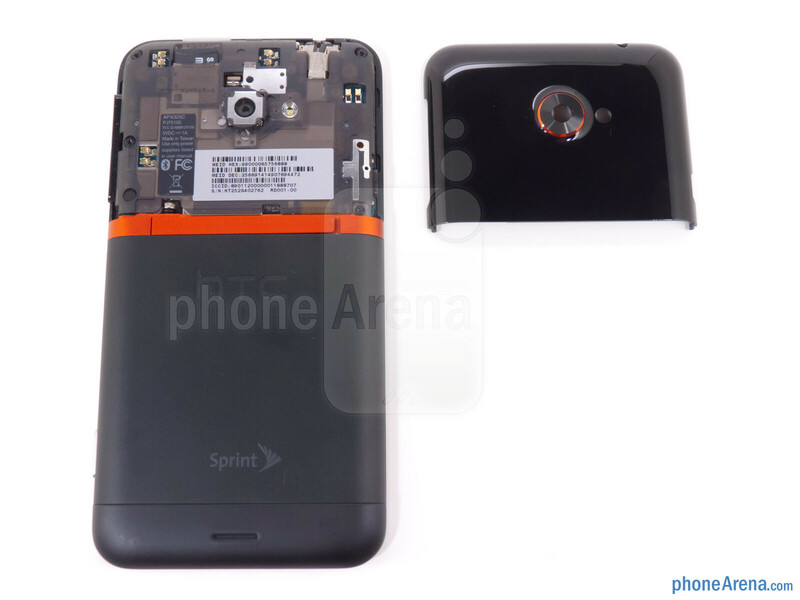 I would have already placed a preorder for the Evo 4G LTE if it had a replaceable battery. Since the battery cannot be replaced I will wait and see and may get a different phone. Definitely a Con for me. unlike the iphone whose sincer start had the battery non removable, Android did. 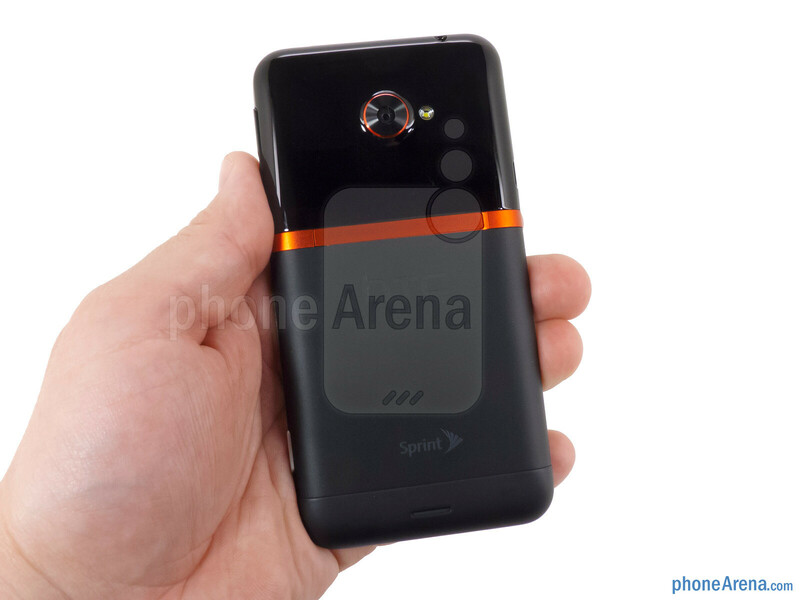 And while not new in the android comunity it is rather strange for a flagship phone to have non-removable battery, hence the moto rzr and than the max. I think its a fair scare based on what the phone delivers. You should not blame the lack of LTE service on the phone because it's Sprint's fault. I thought you were reviewing the phone, not the service provider? To me 8.5 is just ok, but if it is the "best" Android device then it should have received a 9 at least.....just saying. It's like saying the best Android phone around is rated lower than its peer subordinates like the Galaxy Nexus or Galaxy S2. This rating makes no sense, but again it is what it is.....I'd still like to hear why its rated less than 9 if in fact it is the best Android device around. I think your rating system leaves a lot to be desired, because the Gnex is rated higher than this and only best this phone with a functioning LTE signal. The fact that the phone has been awarded the best Android phone android around certainly suggest that it has met all of these "higher expectations". The Evo 4G LTE has a better display, better performance, better camera, and better looks with less weight, and probably better antenna signal from the gripes against the GNEX, today as we speak. Therefore today the EVO 4G LTE has met these requirements of today, and the only lacking mentioned is no LTE. The Sprint G Nexus rating was lame in my opinion, because it lacked a functioning LTE signal it should have been rated according to its peer on Verizon. However it it truely was rated according to the phones as of now the Evo is still underrated as the best phone to date it should have received a 9! I don't understand how this wasn't rated higher than the ATT One X. Objectively, the removable storage, larger batter, and camera button should give it a few more points, or at least be considered a pro. Subjectively, the kickstand could also be considered a pro. Again, the lack of LTE shouldn't be chalked up as a con, as the phone at least has the ability, which makes it just as competent as the One X. In my opinion, the Evo 4G LTE should be rated an 8.8, if only because it improves upon the ATT One X, which should be the standard that PA is comparing against. Wow...that battery ain't worth it. Same reason why i skipped the att HTC one x. Heads up Brian: I think this article should probably make the headlines on the PA main page. I had to scroll through a bunch of recent articles to get this. Soon, nobody will know that you already reviewed this phone. Also, looking at the benchmark results: holy crap! The Viper destroys the G-Nex in Nenamark! Kudos, LG. ALSO (and my ability to continue editing this post minutes later is a testament to the fact that very few people probably know about this review), I believe you have mistaken the continuous shoot function with Samsung's version: you stated the Evo can shoot up to 20 continuously, when really it's 99, unless I'm terribly mistaken... Finally (at least, I hope this is my last edit), it's nice to see a phone that actually makes superb phone calls, if only to shut up those people that come on here complaining that "people have forgotten the true use of phones." To me some reviews I have read compare the lack of LTE signal as a reason not to own the phone, and one site suggested viewers to go to Verizon for LTE. I ran across another site and it had a Verizon add next to the review....talk about beyond biased promoting a competitor of a reviewed product telling the viewers to go to Verizon for LTE is some what misleading. I bet that add is bringing in big money as well since it is strategically placed for revenue. When comparing specs like benchmarks and memory, how about including the original Evo 4G. Since that is the phone that many will be upgrading from it would be handy to see a head to head comparison and what has been improved or remains the same. I just love the design and the YouTube link to the behind the scenes work is the kind of stuff I love and would one day love to do. These guys have the coolest jobs in the world. 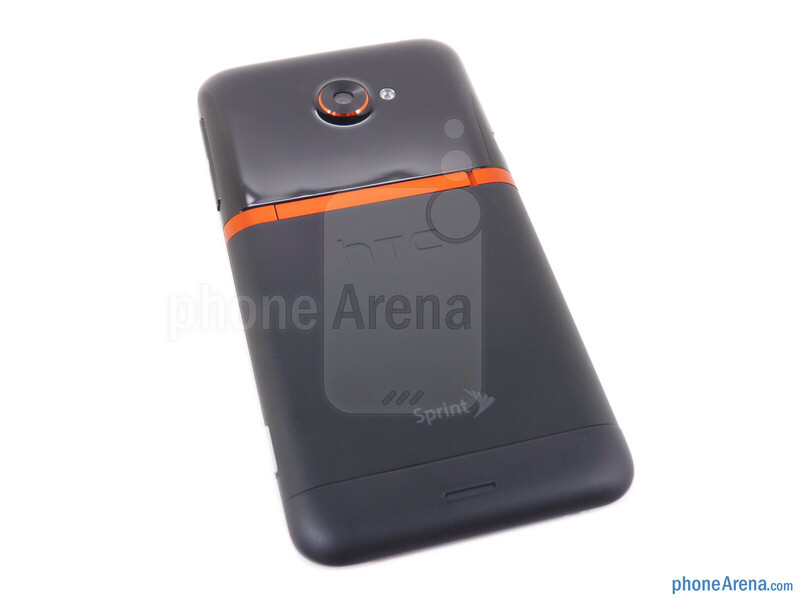 This phone should've been the international version instead of the oneX. Seriously. Beast of a phone, looks great too!!! Removable batteries aren't really a deal breaker for me. Batteries last about 1 1/2 years . The phones out of date after 1 year. Just my opinion though. With total equipment protection you don't have to worry anyways because you can just get the phone replaced. For $100.. batteries aren't covered under a free fix with TEP. What records have you checked. they are covered under the first year since they are under warranty sprint Will replace it, especially if you have insurance its free. once the warranty expires sprints ticket system won't allow a battery to be ordered. once its out of a year since the battery is embedded we techs can replace the phone free as long as you have insurance and 35 with out as long as there is no water damage. soon we will get allowance to open the phone so we can change the battery... check facts yo. I would take it over the SGSIII. Love this phone! And i think there's no way it's bigger battery than on the One X could have a shorter life. If it really lasts shorter than One X's it's some software bug that HTC will fix, just like it did on the international version. I agree - I've waited two years since the original Evo 4G to finally get a worthy upgrade. I rushed to pre-order this phone, and what I received wasn't very impressive. The processor / os may benchmark faster than the old Evo 4G, but you can hardly tell when using the phone. 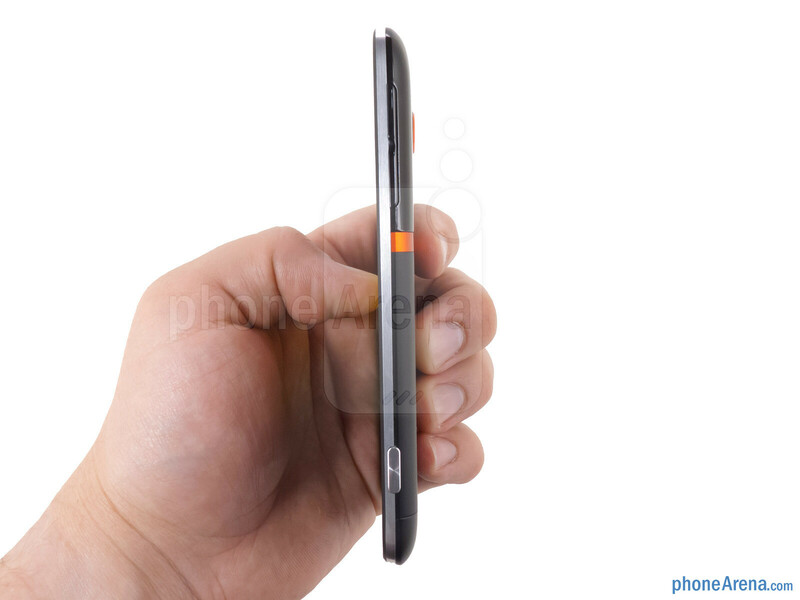 The size of the old Evo 4G is big enough, and unless you have gorilla hands, this phone will require constant two handed action. Android 4.0 is far superior to the predecessor, but this phone needs to be usable on a daily basis. I travel between office and home and move around a lot on the weekends, this phone is too long to keep in my back pocket and has become a constant headache to tote around. The battery on this phone is nothing to brag about and you can't replace it, so unlike the original Evo, expect to be stuck with a worthless battery for the second half of your 2 year contract. Overall, if you're looking at specs alone, then this phone is incredible. If you need a phone and not a tablet, I would keep looking. I've returned mine.